Superfood. I absolutely love this band, they’re so unique and so loveable at the same time. Their music is so absorbingly cheery, it’s hard to physically turn it off. And not to mention, their production is always so magnificent. And after seeing them support Wolf Alice in November I started to like them even more, I’ll still be listening to this album in 2018 and I hope you will be too. 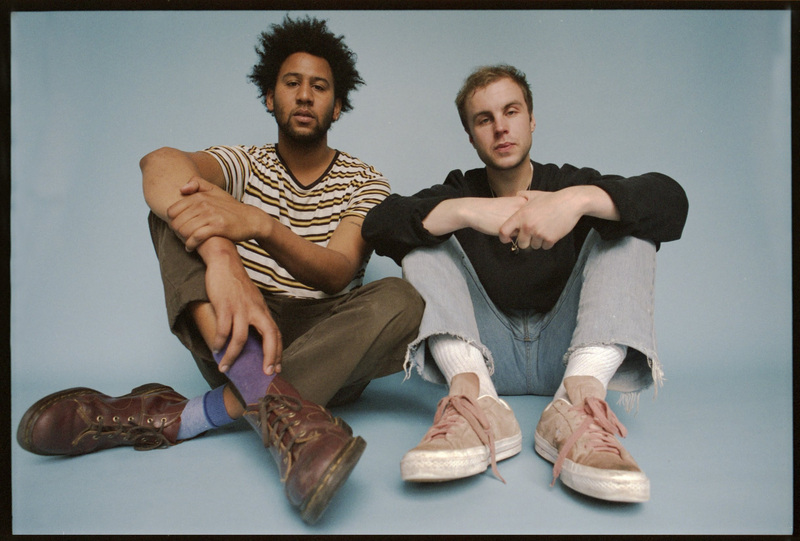 Following the release of singles Double Dutch and I Can’t See, Superfood (aka Dom Ganderton and Ryan Malcolm) release their long-awaited second album Bambino. Bambino is the band’s first album through Dirty Hit and one that tears apart the rule book of what should be expected of a band in 2017, as the London via Birmingham two-piece fuse sample led dub to their technicolour indie. Stand out track Unstoppable is one of the band’s most immediate tracks to date. Sampling the late Prince Buster, the song hurtles along with a fizzing energy and indisputably contagious melodies. Bambino was recorded over the past couple of years. Free from outside influence, the self-produced record bursts with light but the album’s formation wasn’t without its problems, “we had no money, no label and wanted to give up several times.” says frontman Ganderton. The band emerged through the struggles with a record that serves as a document to perseverance, while putting to bed any notion of a difficult second record and pointing to an exciting new direction for the band. 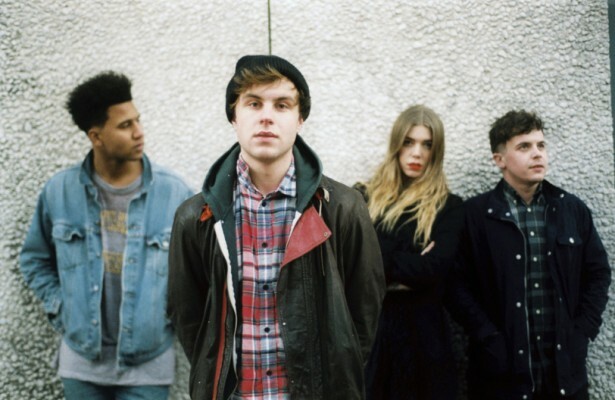 Superfood have released the music video for their latest single ‘I Can’t See’. The track is taken from their recently released second full-length album ‘Bambino’. Next month, Superfood will hit the road for an eight-date headline tour. The band will also make an appearance at Manchester’s Neighbourhood Festival on October 7th at Sound Control. It follows on from first glimpse ‘Double Dutch’, their first release with new label Dirty Hit. After announcing their signing to Dirty Hit via Superfood have returned with new single ‘Dirty Dutch’. For Superfood the long layoff between records seems to have been an eye-opening time, allowing them space to experiment and craft what is no doubt an intriguing progression in their sound. The slacker vibes are still evident, but on their first taster of album two, Don Ganderton and Ryan Malcolm serve up an unexpectedly synth-heavy and playful electro-banger. The track is the first to be taken from the band’s as-yet-unnanounced follow-up to 2014 debut LP ‘Don’t Say That’, and is an instantly addictive, dreamy cut, with a heavy use of sampling. Superfood headline the inaugral Dirty Hit tour across March and April. Superfood’s debut album ‘Don’t Say That’ is out now, the band have unveiled their video for latest single “You Can Believe”, and announced a brace of UK headline shows – their biggest tour to date. The single is a jangly bout of psych-induced angle-pop. Continuing sonic themes we’ve heard on prior singles, the band fuse shuffly ’90s beats with fiery axe licks and heady harmonies. Superfood‘s debut LP is now out via Infectious Records. The “You Can Believe” single is released 9th March. Birmingham Band SUPERFOOD have announced their debut album details, The infectious guitar indie pop band’s debut album is out on November 3rd….titled “Don’t Say That”. The opening track “Lily For Your Pad To Rest On” , the album also featuring previous singles “Melting” , “Superfood” , “Right On Satellitte” and “TV” are all included . The band have a small tour throughout October and November try to catch them. the band SUPERFOOD have just got better and better and with extensive touring this new track is completely true to their live sound, awesome guitar band from Birmingham, “Right On Satellite” the band drive this song at a pretty fast pace, checkout their Live shows. Superfood have been one of the best of the new indie guitar bands this year with a collection of wonderfull tunes,great playing and just throughly good fun, with charasmatic frontman Dom Ganderton pure pop vocals they are the best of Britpop. Birmingham Band set for stardom, great songs, great playing especially the interaction between the guitar player and a rock steady rhythm section this is already a classic track catch them at Live at leed at Stlus or with Wolf Alice double header at the Cookie Jar in Leicester. Its took me awhile to get over to the Cookie Jar, mostly because every time there has been someone I wanted to see there, I have had tickets for another band elsewhere, but what a great small venue, great friendly people,good service and well organised venue with three of the best bands you could wish for Wolf Alice, Superfood and the newish to my ears of the three Genghar this was as good as an evening gets. Genghar started the evening, I had seen them at Live at Leeds in another awesome venue the Belgrave Music Hall they played a pretty short set with great tunes especially the standout song on their soundcloud site “Fill My Gums With Blood” I really like the guys vocal its frailty adding to the distinct sound they are going to be a superb festival band and one to see during the summer. Next on were the wonderful Birmingham band Superfood I must admit to seeing them about a dozen times now, certainly one of my favourites a relaxed style with blistering guitar breaks and one of the best new drummers around, infectious songs culminating in the sing along band titled song “Superfood” cannot wait for the album release apparently not out till October. 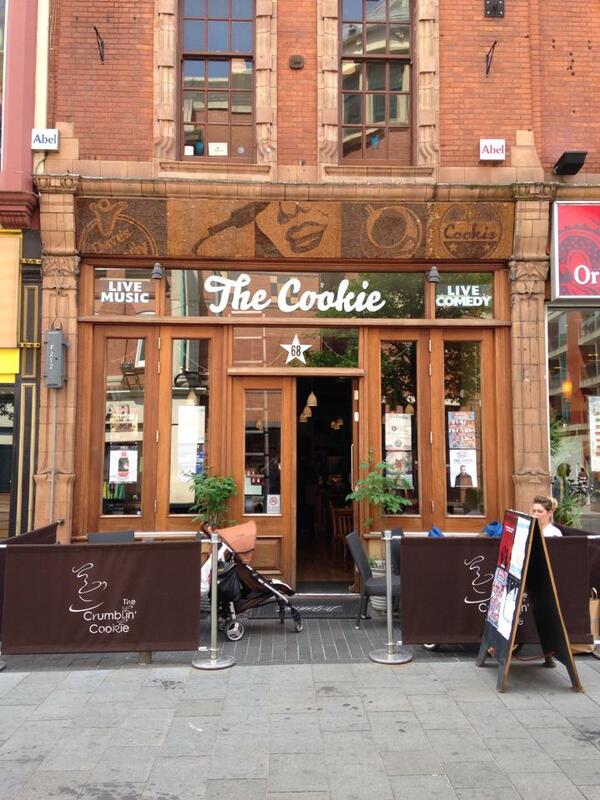 so get yourself along to the Cookie Jar support this wonderful venue. PS the beer comes in pint milk bottles.